Not too many to choose from here, its basically No 1 !! Its the most popular beer by far, in cans or on draught, its in virtually all places that sell beer. Its a golden lager with an ABV of 5%, it is nice and refreshing especially in the heat of the day but you haven’t really got much of a choice. Yet another beer produced by the Heineken group it tastes similar to all the other standard european lagers they make. 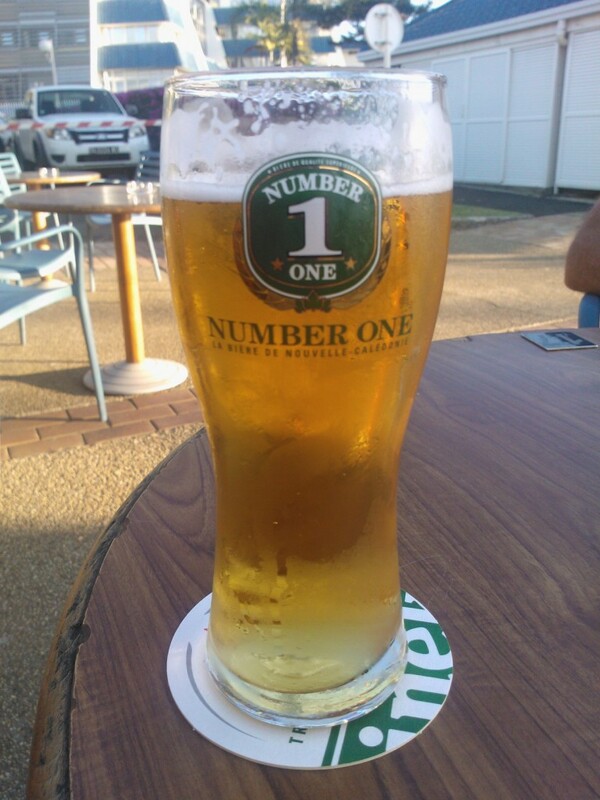 Its pushing it a bit too far really calling your beer “No 1” when in fact its very average draught beer !! Imagine my delight when I found a pint of bitter on draught !! Unfortunately it was just a pint of Havannah, another Heineken produced beer, it was a sort of amber ale. I tried it a few times as I just couldn’t get the taste of it defined. It was a very sweet taste that hit you initially, almost caramel like. I’ve found some reviews later that have used terms like – sugar, overripe fruits, caramel, pear, melted hallowen candy, flashes of Worcestershire sauce, peppery caramel, papery finish, yep probably all of that !! Just couldn’t get on with it and two pints was normally enough as you were too confused by then to work out what it tasted like or in fact care ! The other name you see a lot in the supermarkets is Manta, it is the 2nd national beer and made by the Brasserie Le Froid brewey. They make beers like Manta Gold and Manta Intense. The Manta Gold was more than acceptable and an equal to the Number 1, it was another pale ale with a similar strength of 5%. The Manta Intense was a little err, intense, at 5.8% it was obviously stronger and you could taste it. Only the one can for me thanks. So not a massive selection of beers here in New Caledonia I’m afraid !! Anyway, Au Revoir from Noumea – next stop back to Vanuatu !! Hi, I’m sorry. I have no idea if you get get it in the USA. But to be honest I wouldn’t search for it – plenty others out there that would be better ! !